Next, on our 2019 CNY food tasting list, is a new era of Chinese dining in Singapore: Madame Fan at JW Marriott The NCO Club! Located in a three-story entertainment lifestyle destination, Madame Fan is an etiquette-free Chinese fine dining restaurant led by acclaimed restaurateur Alan Yau, who is also known as the founder of Wagamama and Michelin Star award-winning Hakkasan in UK. Lush, plush, bright, dark and cozy. The dark, elegant interior of Madame Fan had us basking in the luxury, modish vibes, while the bright, sophisticated open-air outdoor area was a breath of fresh air to chill. To celebrate the arrival of a joyous Chinese New Year, exquisite set lunches and dinners as well as reunion feasts are available at Madame Fan from 16 January to 19 February 2019. And here are some of the dishes we have tried in their Chinese New Year menu. 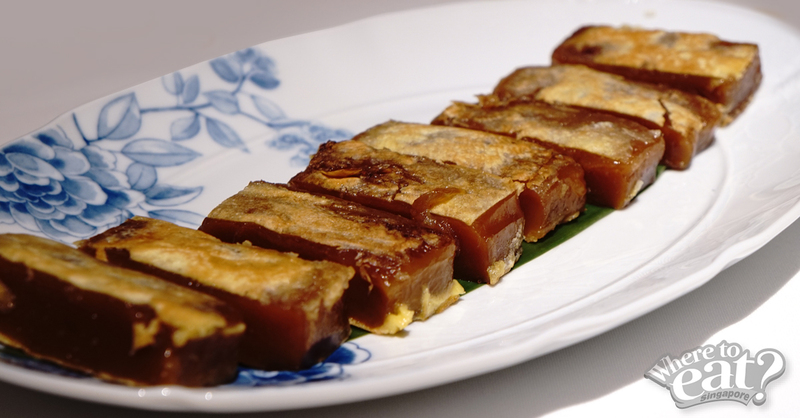 It is believed that eating Nian Gao (a Chinese New Year’s Glutinous cake) during Chinese New Year brings you good luck and greater heights for the new year, so how could we miss out on this auspicious dish? Seemingly a pan-fried version, it is lightly crisp and tender. Yu Sheng with cherry tomatoes and sweet corn included? Sounds healthy to us! 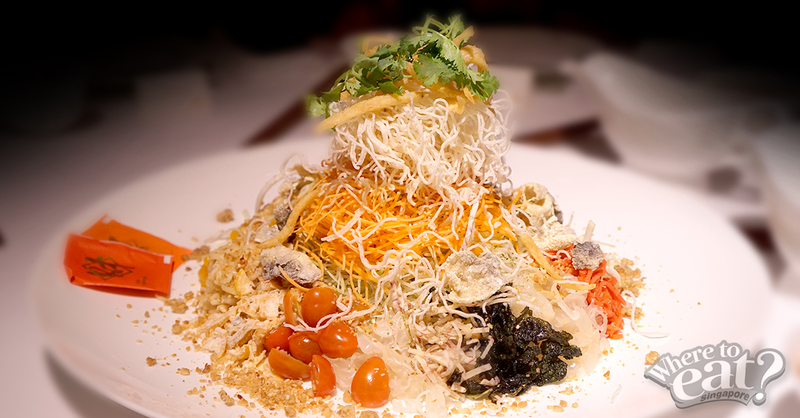 Madame Fan’s Prosperity Yu Sheng (Small: $88, Large: $128) sees distinctive ingredients like the crispy rice noodles, purple cabbage, silver fish, pomelo, mandarin orange and green mango that gives you a wholesome texture and taste. Yu Sheng sauce was not overpowering, and we love the sweetness of the fruits. Hence, a must-try Yu Sheng this 2019! However, it is only available for dine-in only. You can opt for premium add-ons to your Prosperity Yu Sheng which include the Live Abalone from South Africa ($68 per 100g), Boston Lobster ($68 per 100g), Geoduck ($68 per 100g) as well as Kaluga Caviar ($170 per 50g). “Bird nest? A sweet dessert?” Well, not quite. 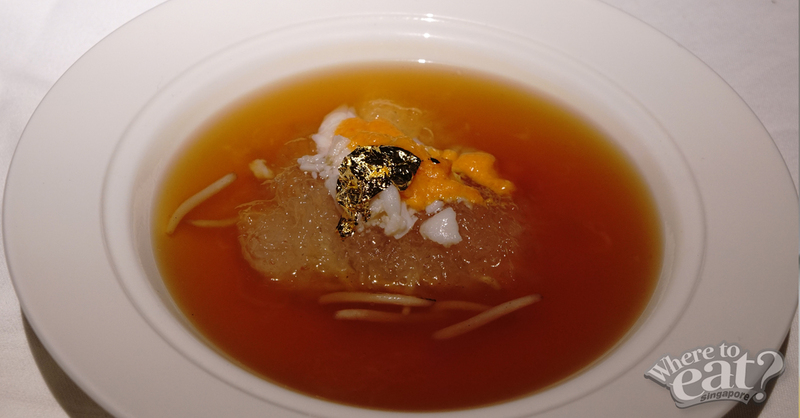 Savoury fans will be happy to relish in Madame Fan’s savoury Bird Nest, Crab Meat and Crab Roe with Supreme Stock is rich and flavourful, with every ingredient doing a good job complementing one another. However, the mild grassy taste of the bean sprouts was quite strong, although it did give a good crunch to the savoury dish. We love tofu! And the tofu in South Africa Abalone and Tofu with Seasonal Vegetables certainly did not disappoint! Verdict? 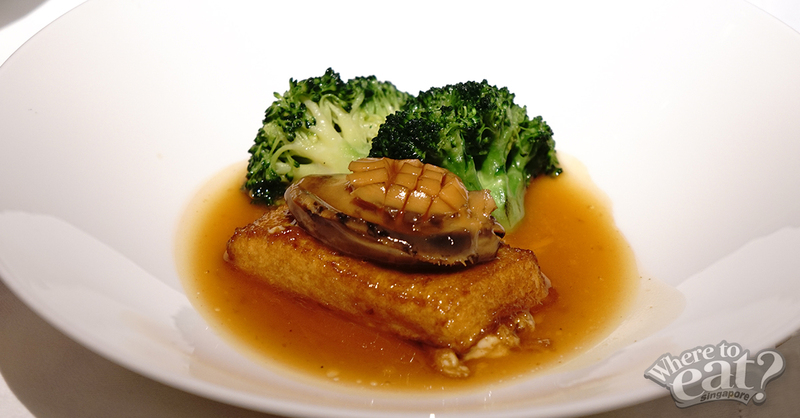 Tender tofu, chewy and succulent abalone, and tender-crisp broccoli. Expect only freshness from the garoupa and an umami, sweet taste when dipped into the Hong Kong Pat Chun Premium Soy in the Steamed Red Spot Garoupa Hong Kong Pat Chun Premium Soy, Ginger, Spring Onion. 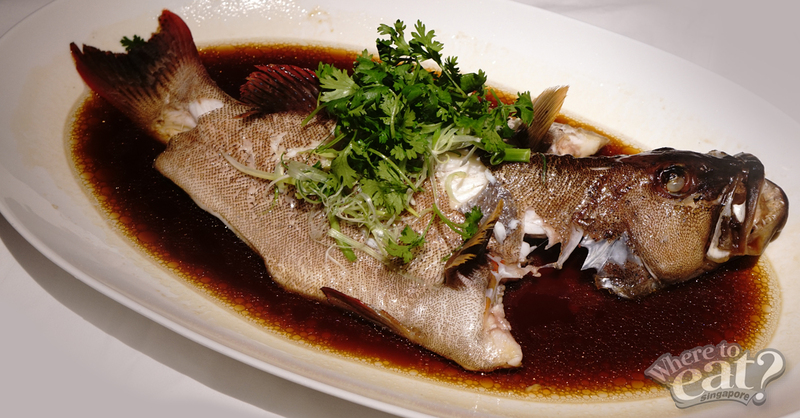 The best dish of Madame Fan’s Chinese New Year Set Menu? 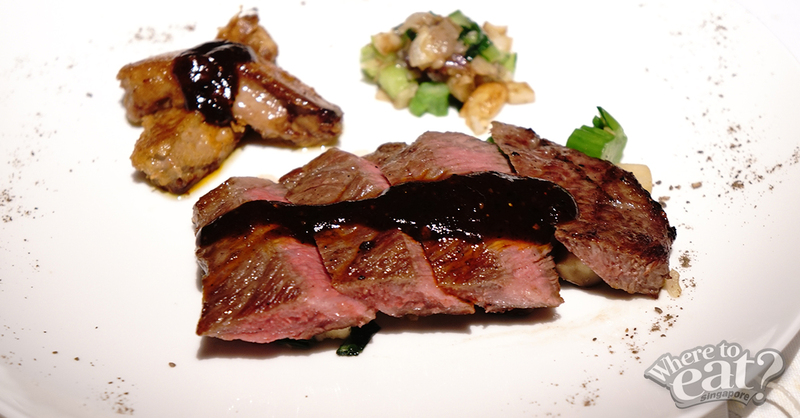 It got to be the Charcoal Grilled Wagyu with Foie Gras! The mouth-watering marbled beef is extremely tender and has a melt-in-the-mouth texture. Foie gras leaves a sweet aftertaste and a nagging thought telling you that you’d need another serving. 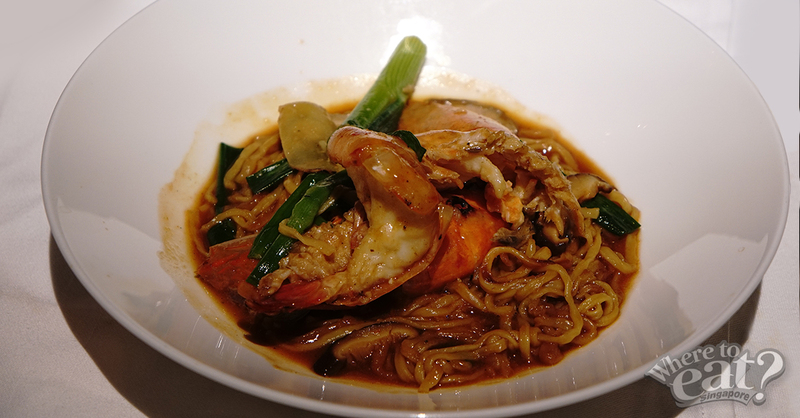 Braised King Prawn, Ginger and Spring Onion with Ee Fu Noodle is a wetter version with plentiful sauce and a well-cooked humongous king prawn! Mandarin orange for real? 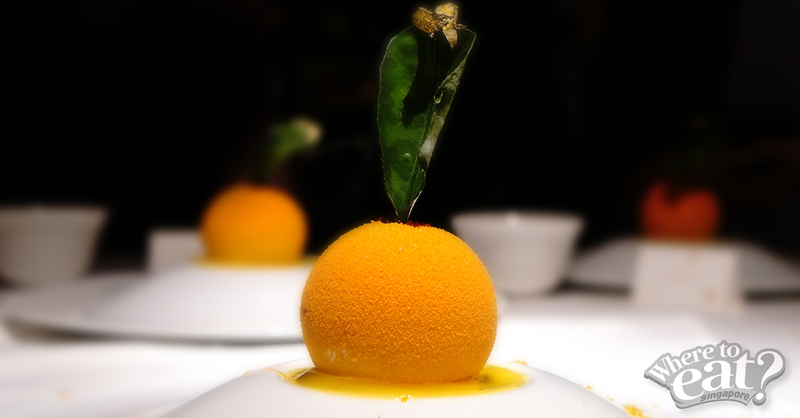 Shaped in the form of a mandarin orange, the real-looking Chocolate Cremeux with Mandarin Orange is one delicate yet quintessential must-try dessert that had our dessert tummies more than happy! A refreshing citrusy taste from the orange outer layer, and a smooth inner cream-based texture. Also, we’re giving additional points given for the gold flakes at the top of the leaf! 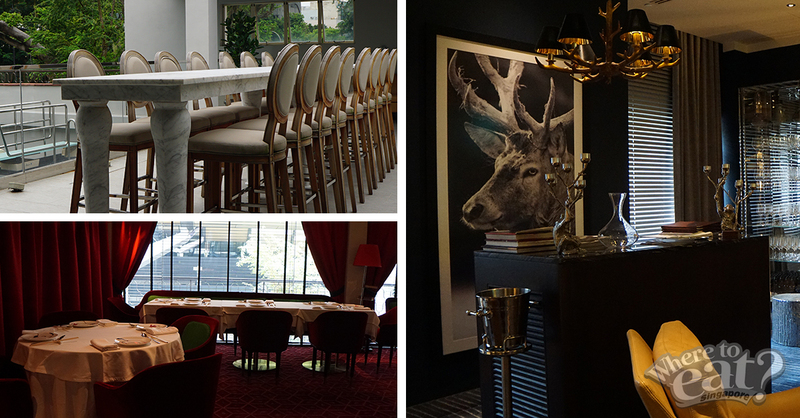 For reservations and enquiries, email dining.reservations@thencoclub.com or visit thencoclub.com.